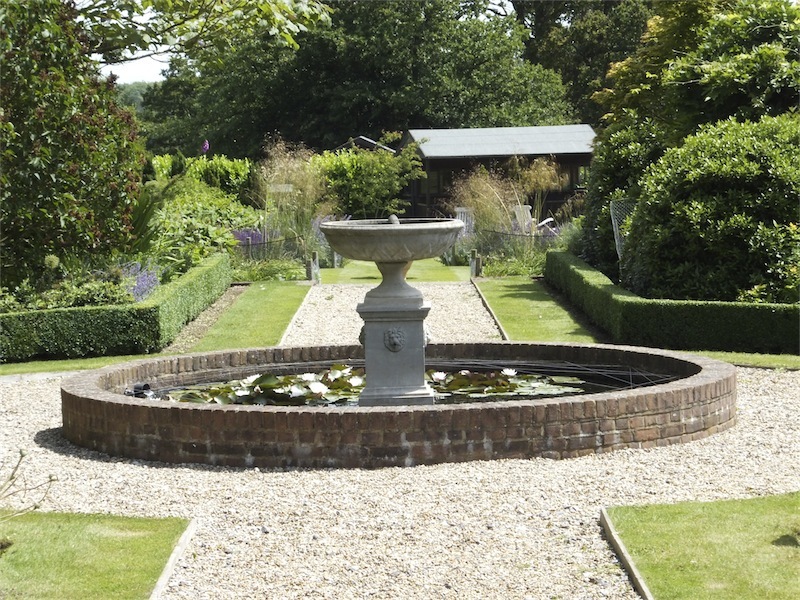 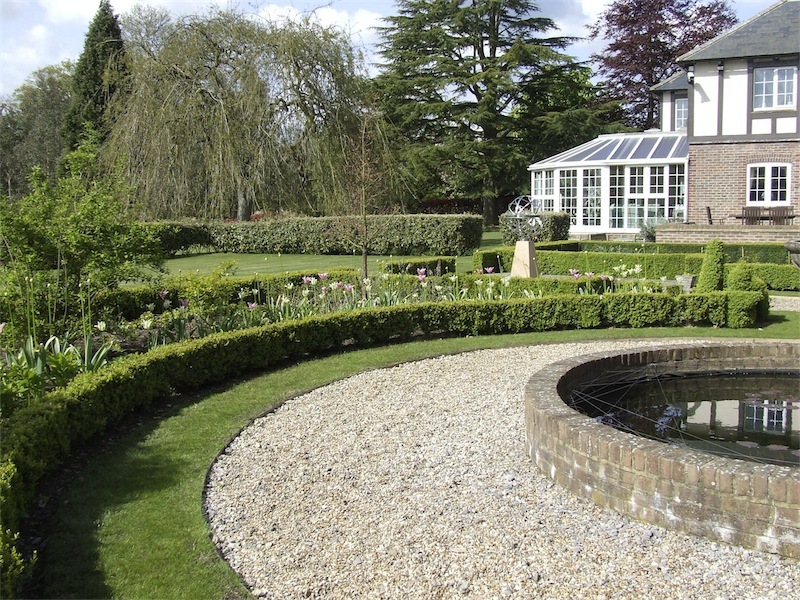 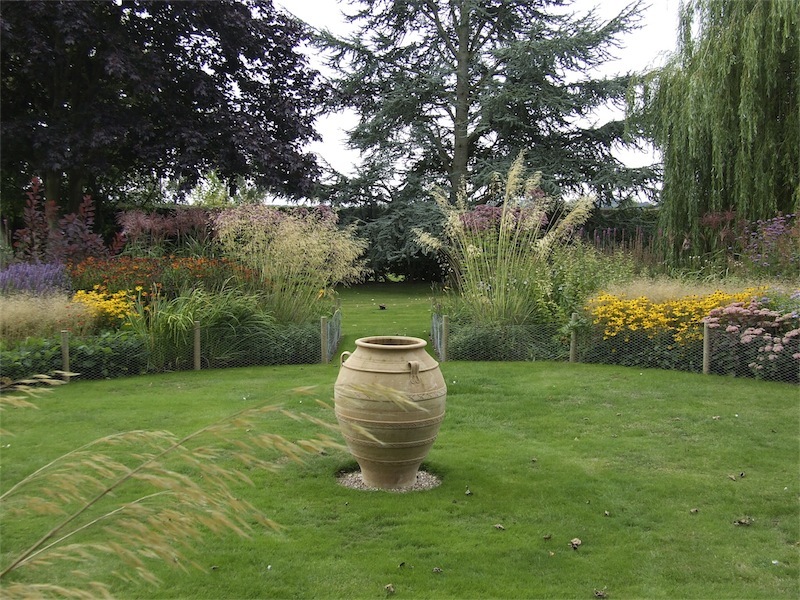 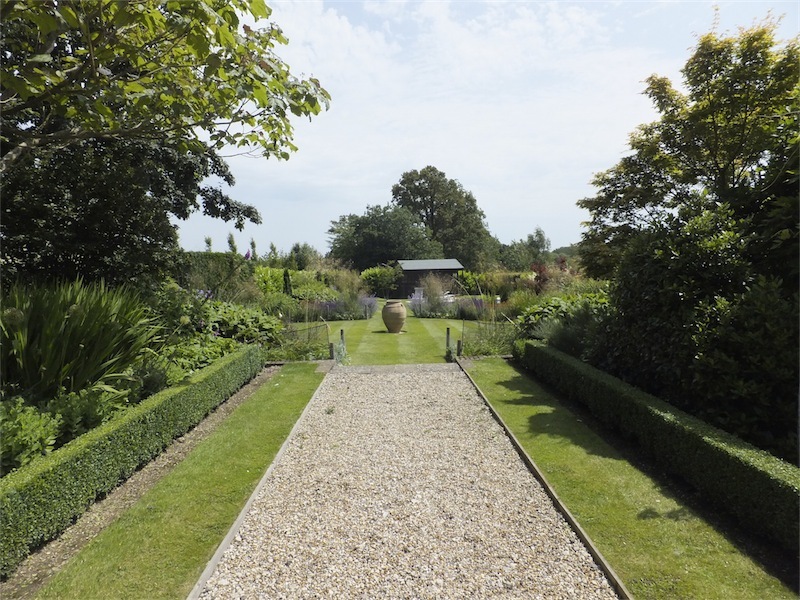 This garden has a gravel path that acts as a strong central axis leading the eye down the garden from the water feature to the terracotta pot, and to the swimming pool garden. 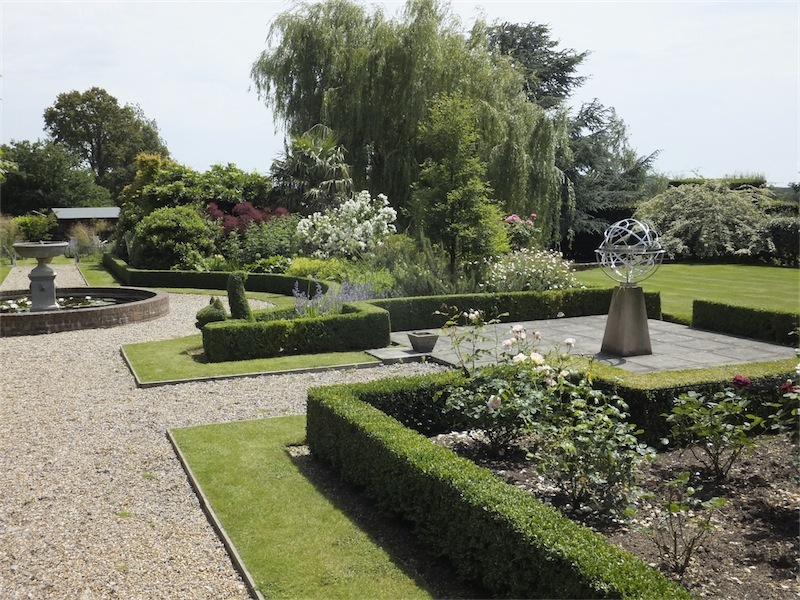 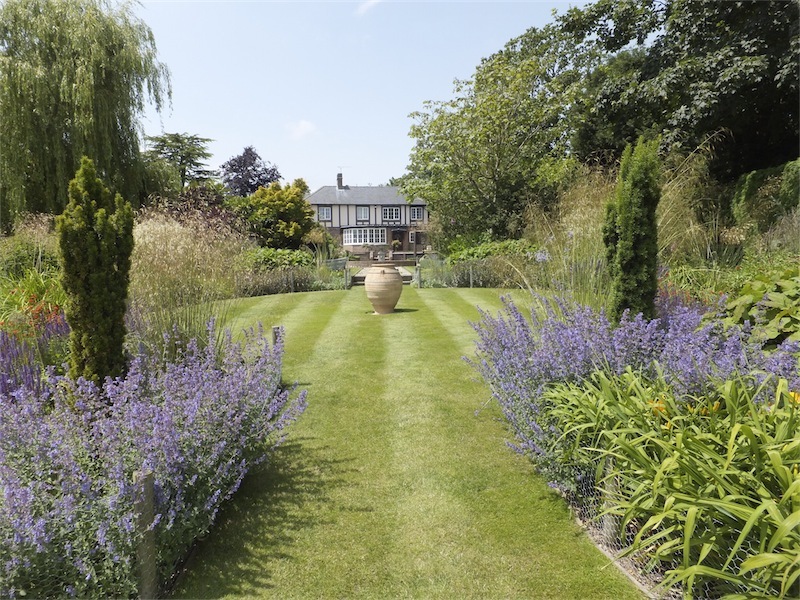 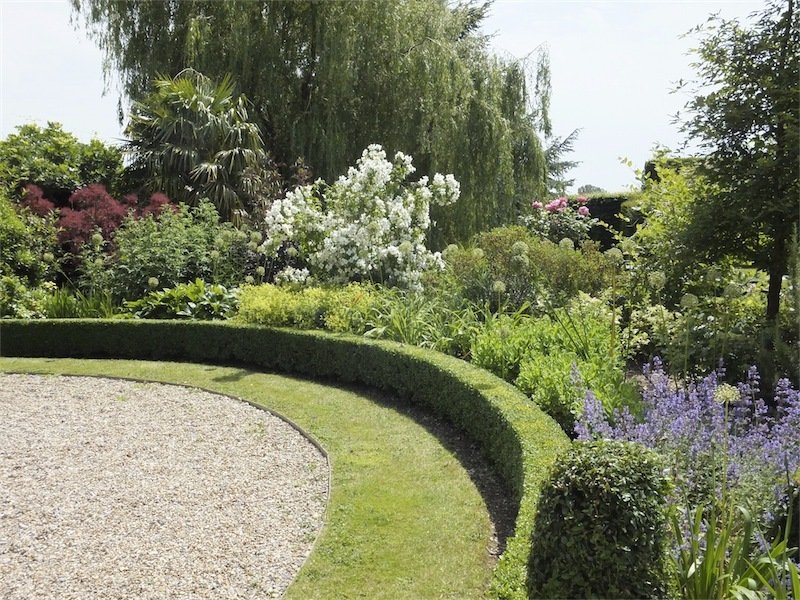 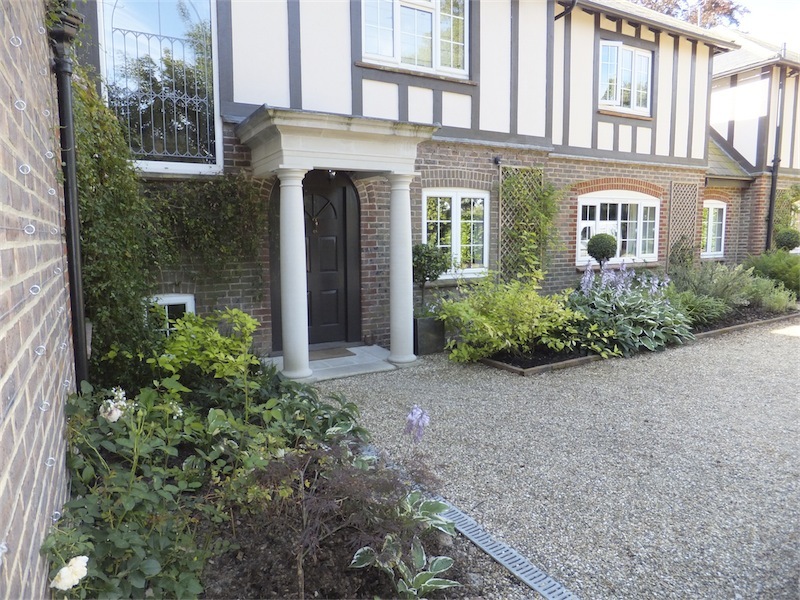 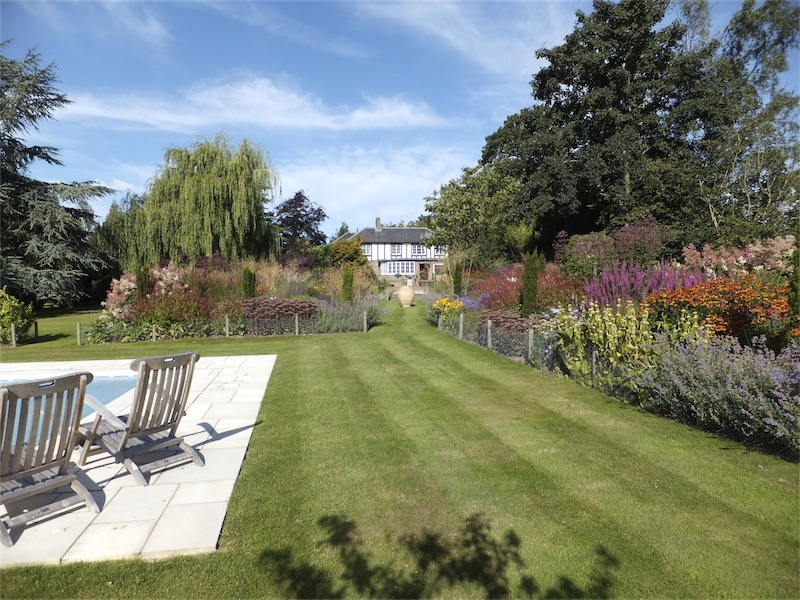 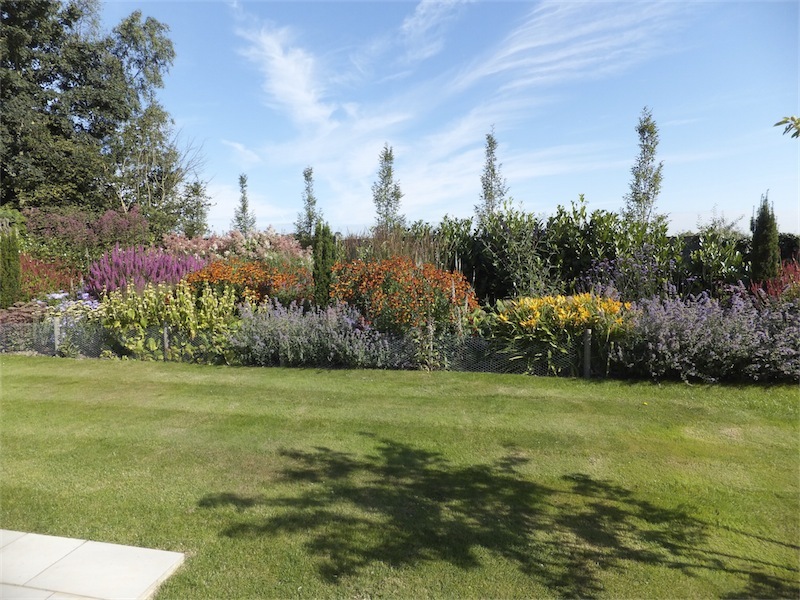 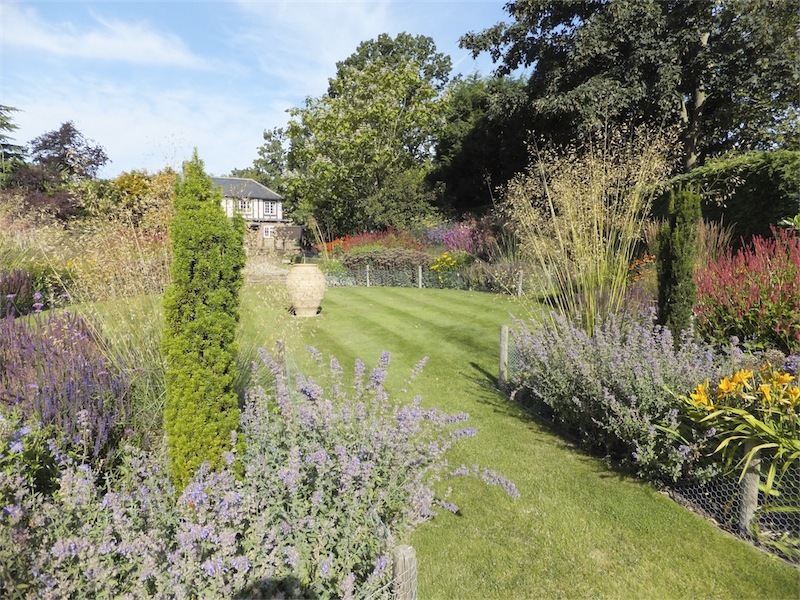 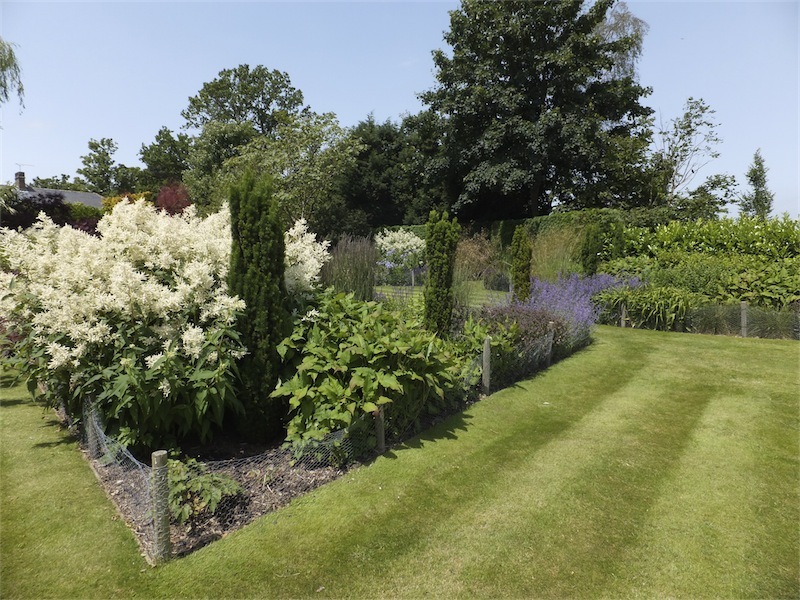 The planting embraces an element of formality near the house with box hedging creating a defined line between borders and lawn in which is a mix of traditional planting. 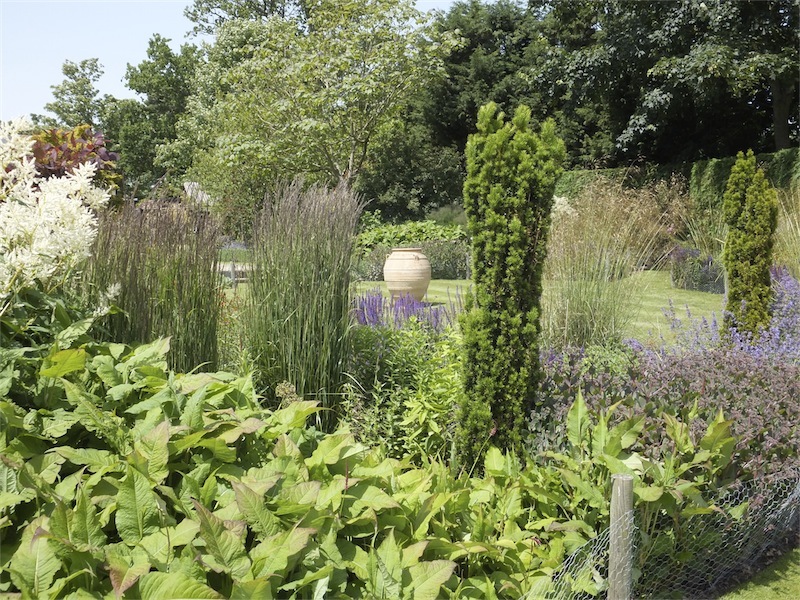 Further down the garden the planting becomes more natural with a prairie style involving swathes of perennials and grasses. 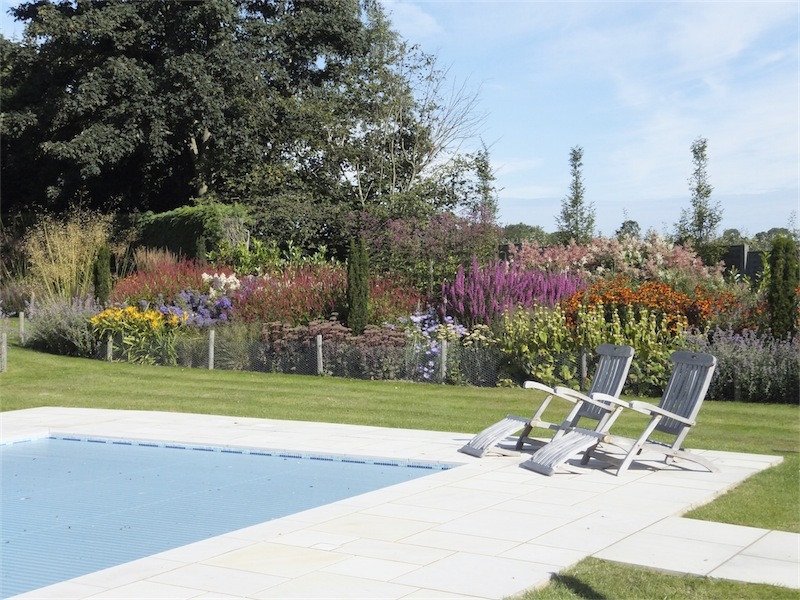 These create a calm atmosphere when enjoying the swimming pool area and listening to the wind rustling the leaves of the plants.